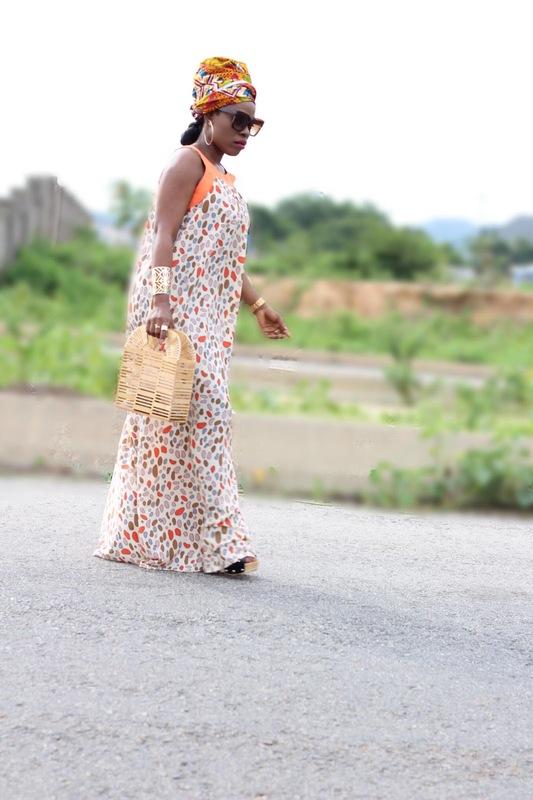 I rocked it with this head piece I got for 2000 Naira from a colleague.....side hustle things.....shoot me an email if you will like to order.....I rocked it to church and felt cool with myself. 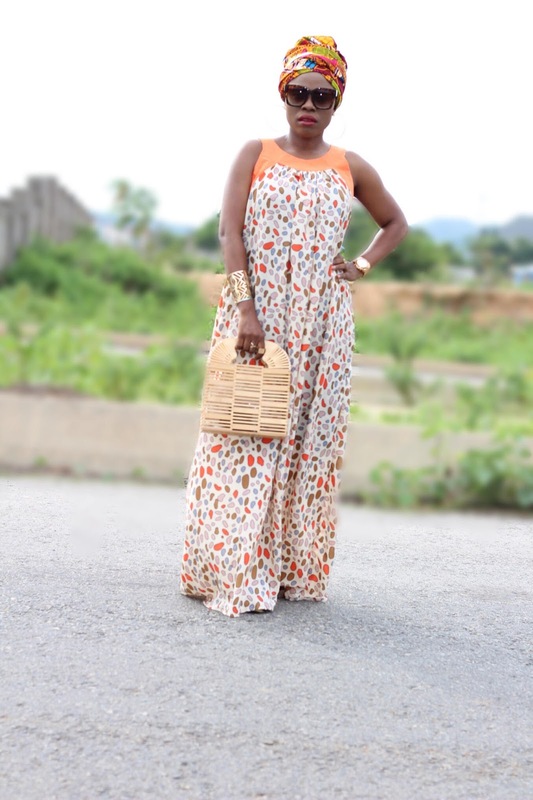 I am thinking of doing a look book with this piece as maxis are thought to be less versatile than other styles which I totally disagree with .....so in the new year, a look book will be up. 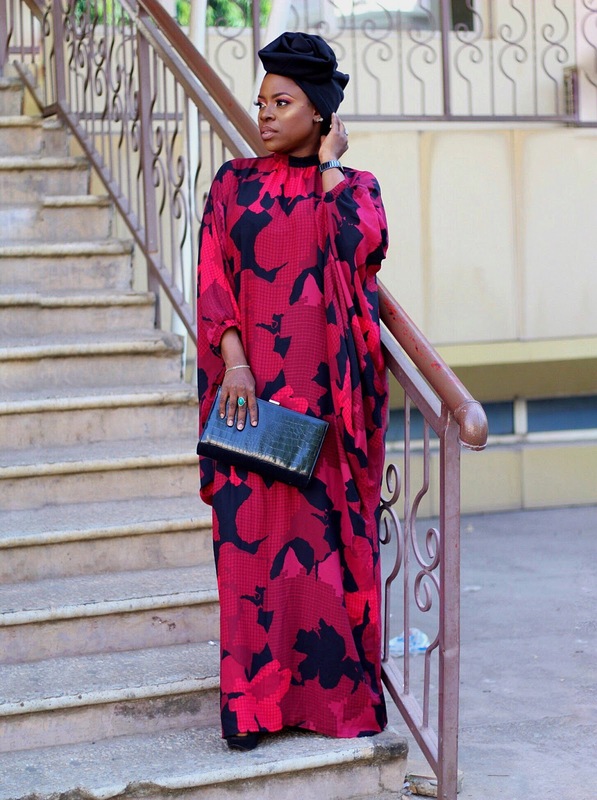 Will you wear this and where will you wear it to? 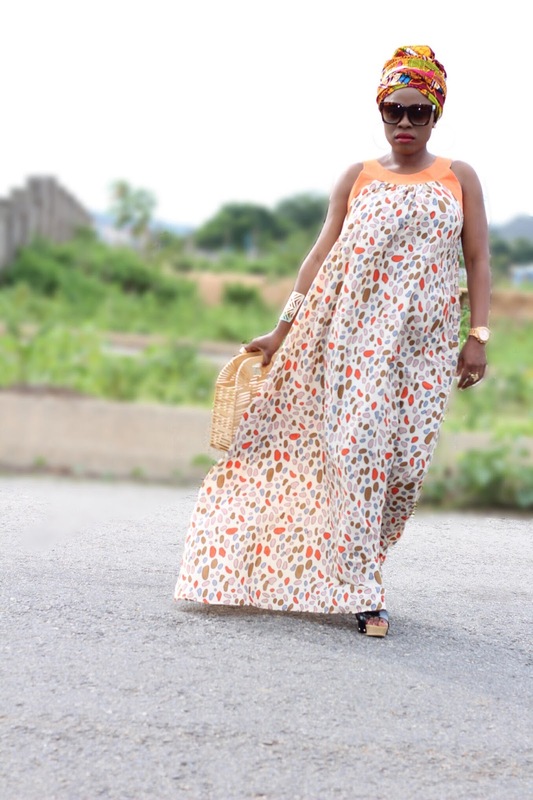 I got this dress from Lomzy....an online ready to wear brand. 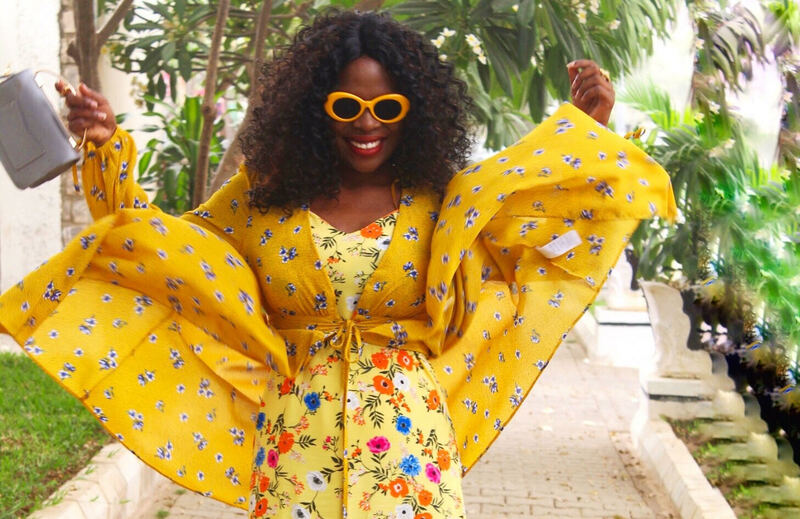 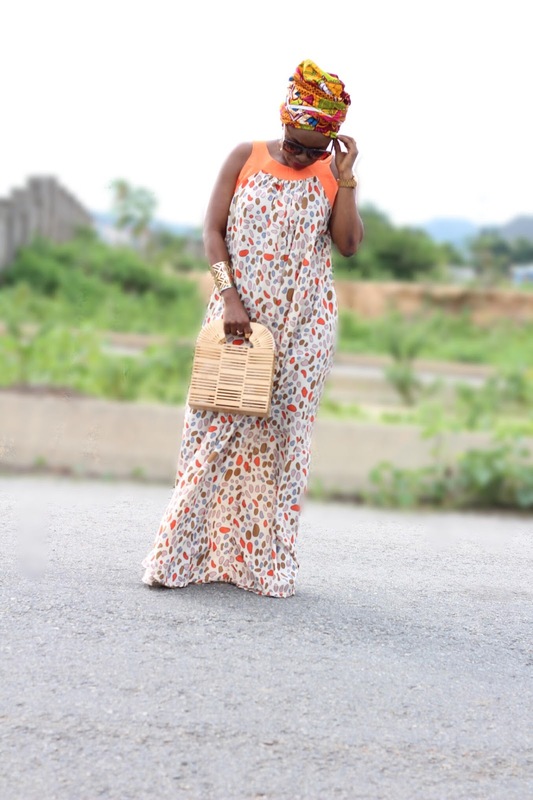 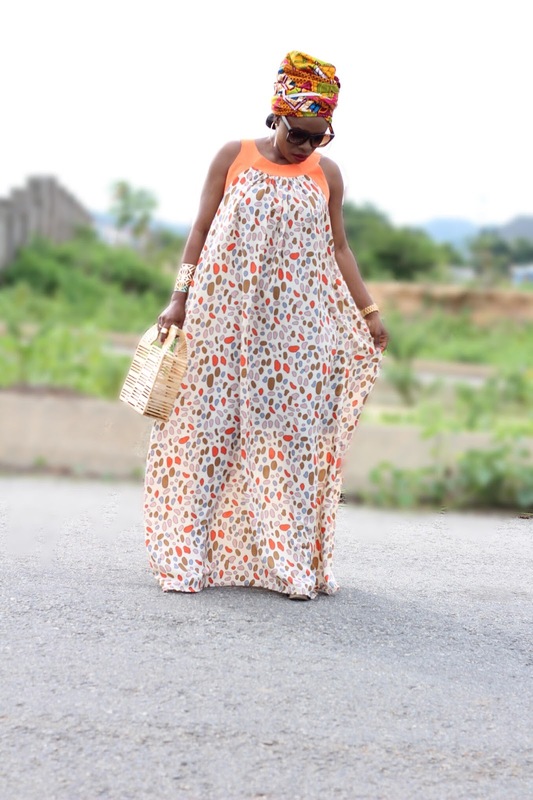 My love for maxis knows no bounds like I said in this post where I styled another maxi dress from the same brand, Lomzy. 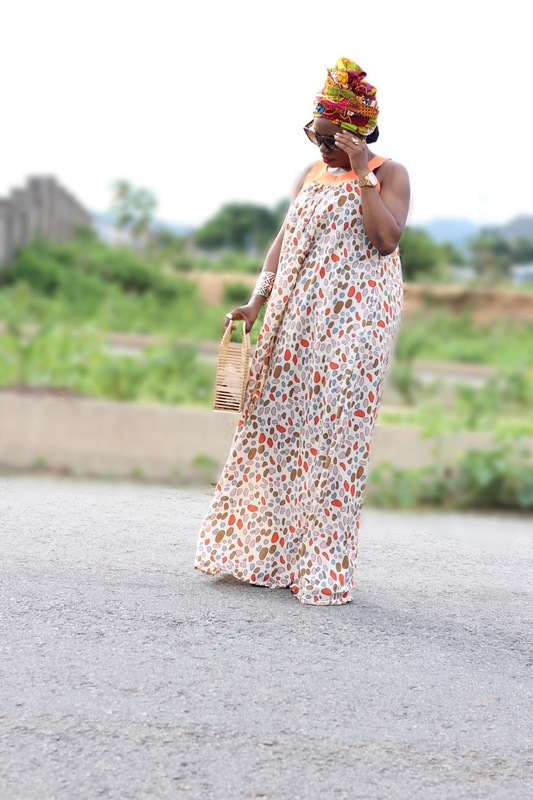 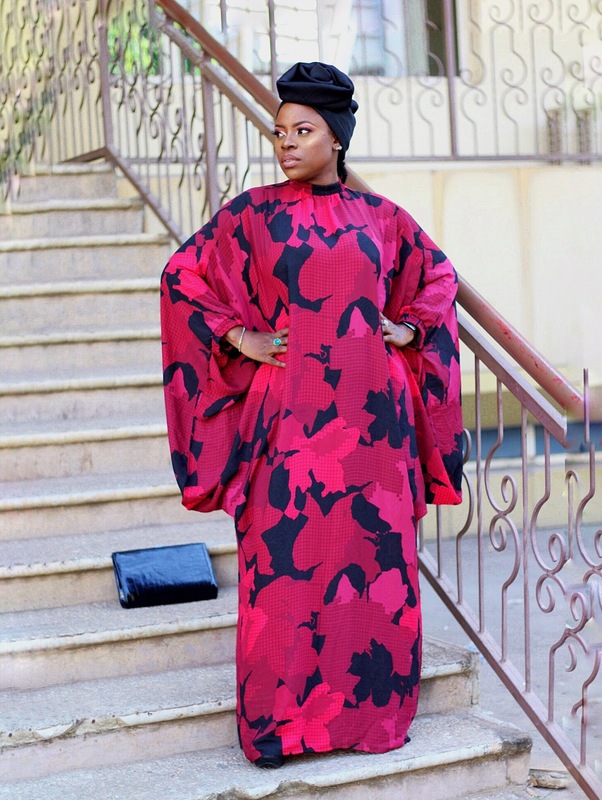 Maxis are a very forgiving fit and as a foodie I love wearing them as they help hide all evidence of over indulgence....fit is very summer/vacation appropriate.....and year round appropriate for Nigerians. 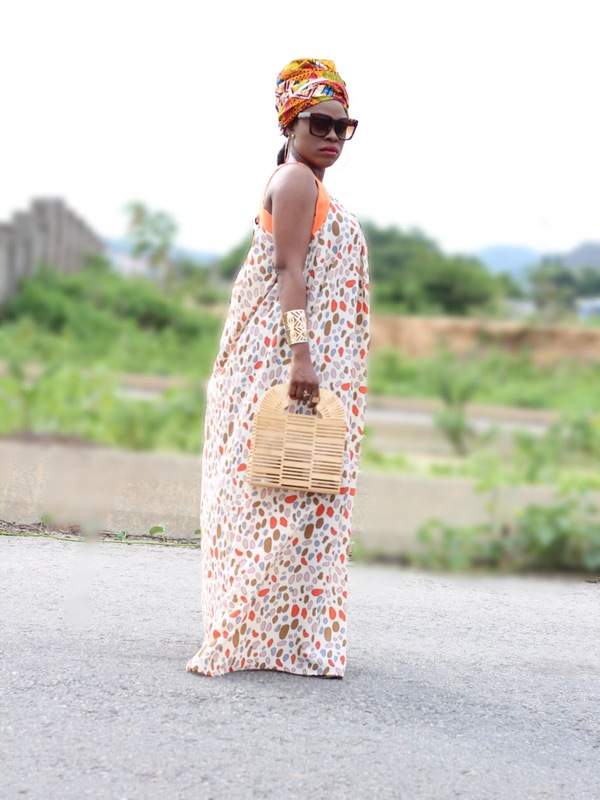 I styled the dress with my slatted clutch from Asos....will leave link below for you to shop. 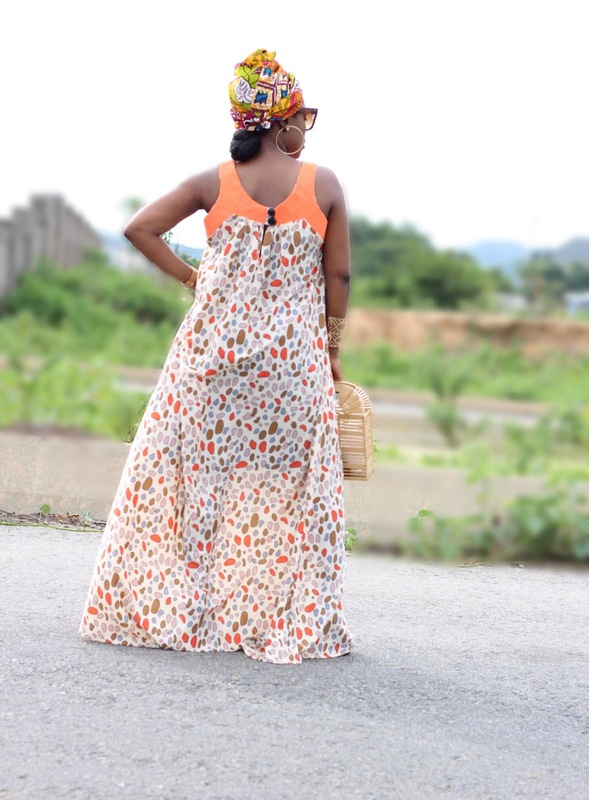 Floral prints are classics and this neck style will never go out of style....I can't wait to restyle it. 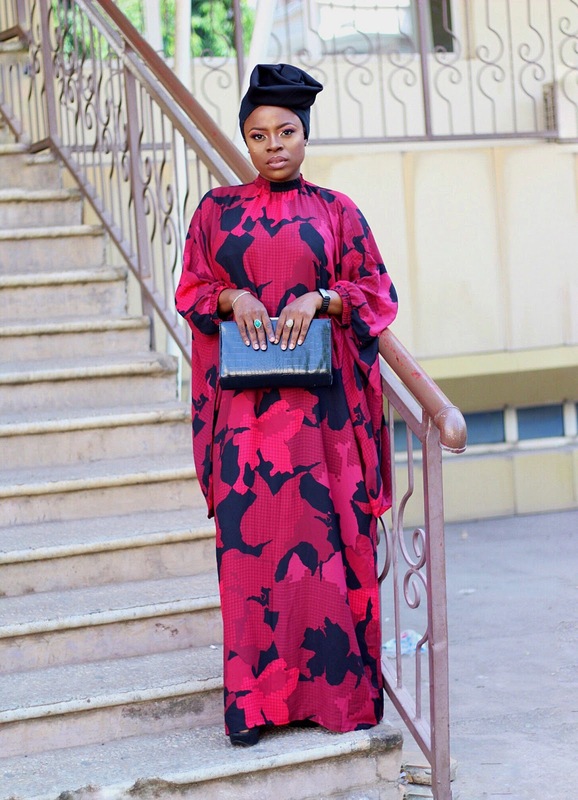 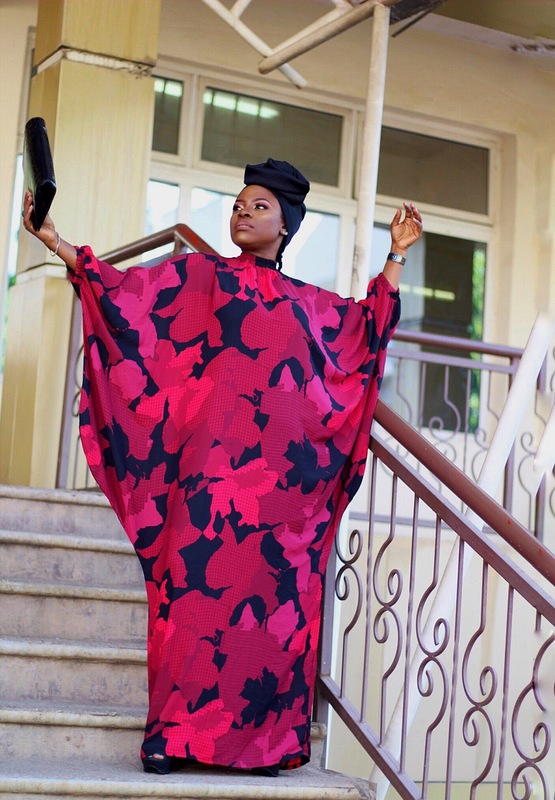 Lomzy ships worldwide so contact them to order before it sells out....they also stock other amazing outfits in several designs,styles and vibrant prints.